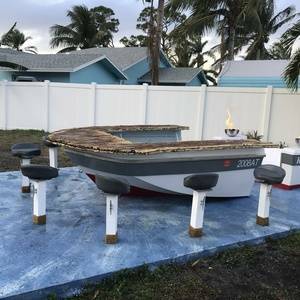 We took a old 18’ boat, cut it in half and created our own backyard bar area. 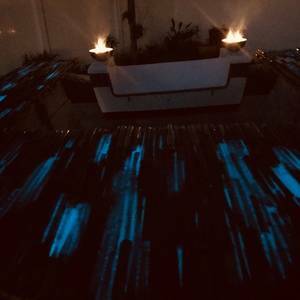 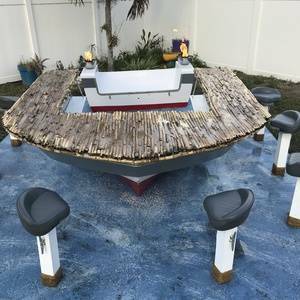 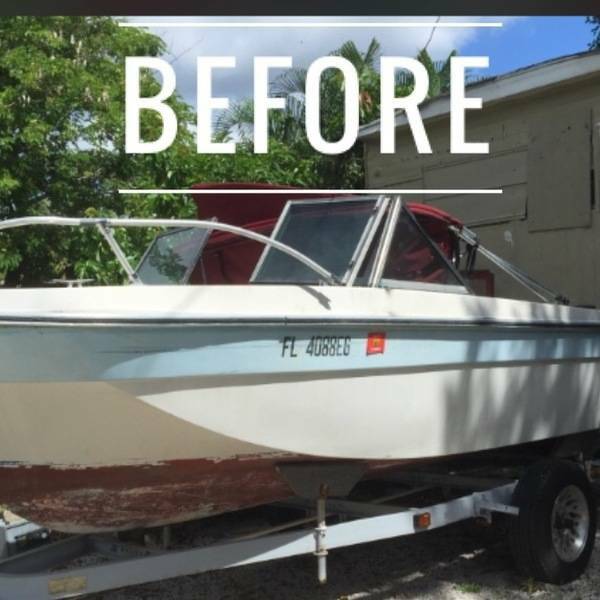 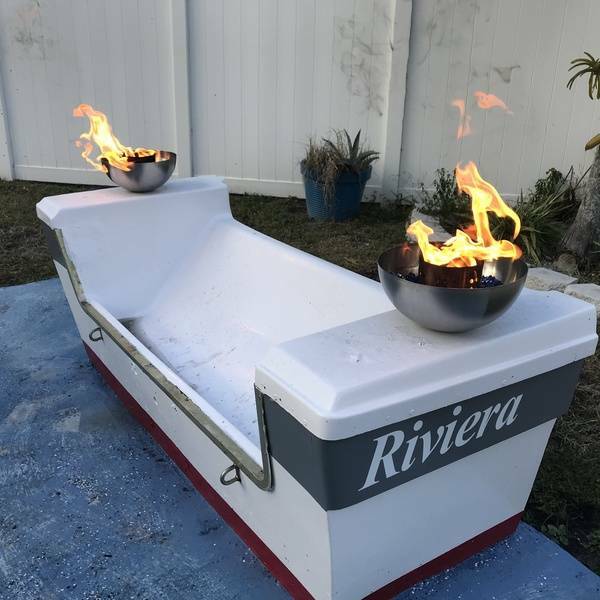 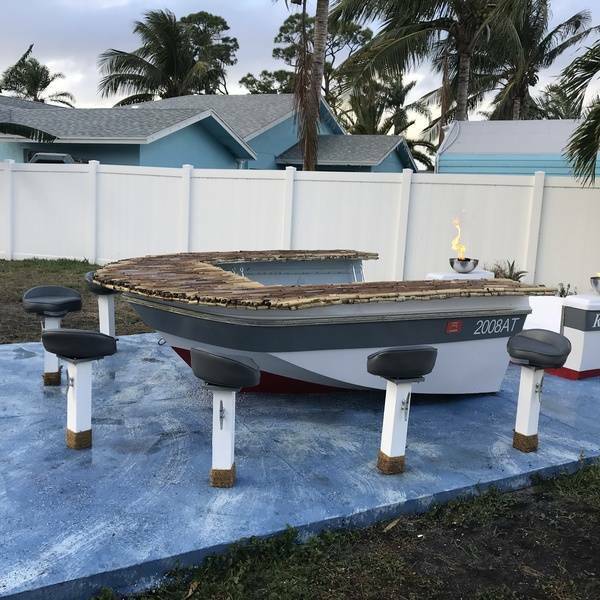 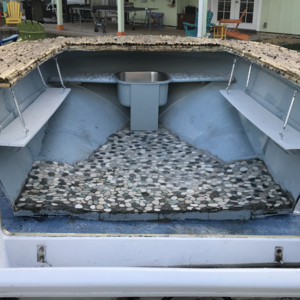 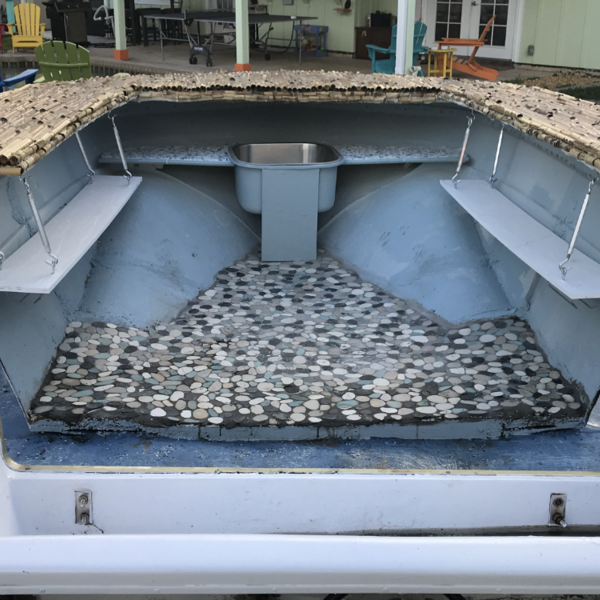 We cut the fiberglass boat, poured the concrete, created shelving with a sink, installed 4x4s with boat seats, and added fire bowls on the back of the boat to add to the design. Such an awesome idea and a great space to hang out in! Super work!